Teaching Authors--6 Children's Authors Who Also Teach Writing: Three New Books for Your Writer’s Bookshelf! Oh, how I love recommending books about writing for our readers’ shelves! This time around, while the first two titles target aspiring young writers, young-at-heart writers can also benefit. 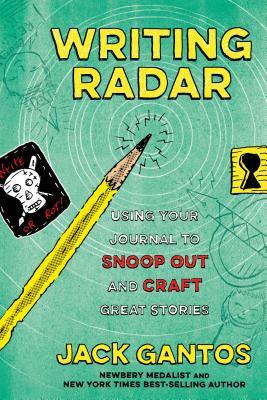 Jack Gantos’ WRITING RADAR - USING YOUR JOURNAL TO SNOOP OUT AND CRAFT GREAT STORIES (Farrar Straus & Giroux, 2017) does an exceptional job showing young writers how mining their journals helps them make their stories shine. 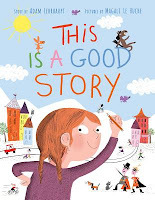 For those of us who write for kids, Eve Heidi Bine-Stock’s newest book OH! THE THINKS I THINK (Eve Heidi Bine-Stock Publishing, 2017) focuses on both STORY – and – PROCESS, offering children’s book writers a journal and a workbook. It’s a welcome addition to her family of children’s book writing books, especially the recently-published how-to books (HOW TO SELF-PUBLISH A CHILDREN’S PICTURE BOOK, HOW TO WRITE A PICTURE BOOK, HOW TO ILLUSTRATE A CHILDREN'S PICTURE BOOK IF YOU CAN’T DRAW). Word prompts, brainstorming exercises and planning guidelines suggest ways for writers to structure, write, analyze and edit their stories. Intermittent delicious poetic verse charms and delights. Which reminds me: don’t forget to enter our Book Giveaway for PET CRAZY (Pomelo Books), Sylvia Vardell’s and Janet Wong’s newest Poetry Friday Power Book which features the original poetry of our very own April Halprin Wayland. Click here for details. The deadline is November 8. Happy reading – and – writing, no matter your age or years on task! These look like grand books, indeed!! I'll have to check them out, especially the THIS IS A GOOD STORY. Thank you!